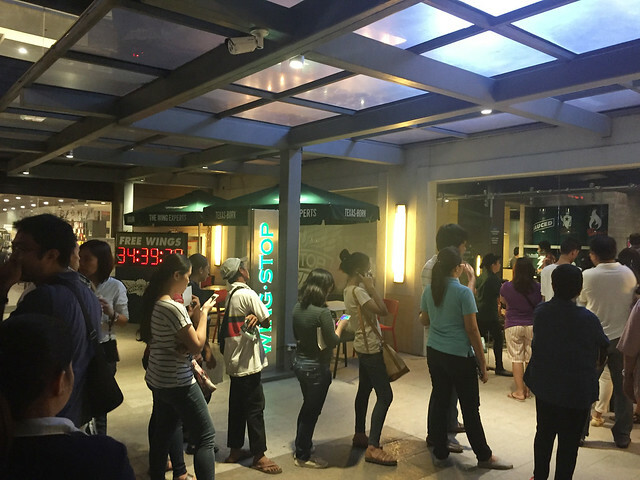 Wingstop has been prevalent this year in the central business districts of Makati and Taguig for its chicken goodness. I can't help but get curious of what it has in store since it made noise in the internet for its takeover, especially in their opening at Glorietta 2. Well finally, they've opened their doors to the south were another market has been waiting to taste their tasty chicken wings and tender bites! 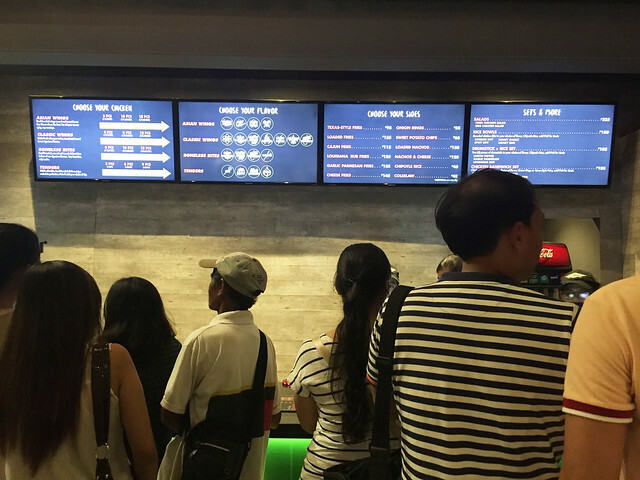 I was excited for its opening in Alabang Town Center, which I am mostly at after office hours or during weekends, because of its two thumbs up reviews. Though I am not a fan of chicken wings, I thought I'll give it a try and see if I can have a good relationship with chicken wings. 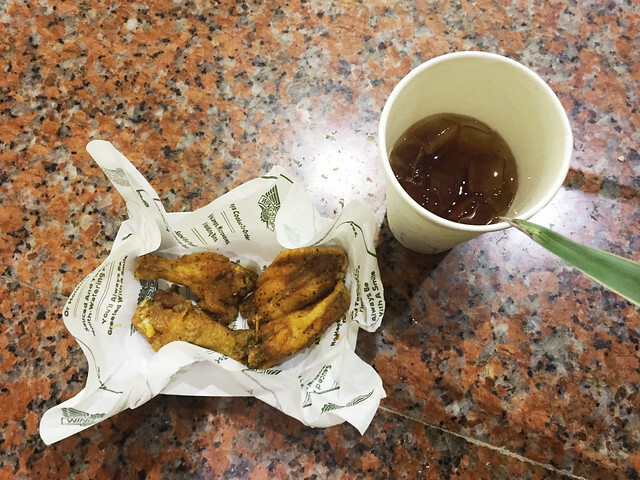 I've heard that there will be free chicken wings from 5 to 8pm so I decided to make a quick stop at Wingstop just beside Fully booked before heading home. With 30 minutes remaining on the clock, I'm quite surprised to see that the line is just bearable even if the mall is on its peak hours already. 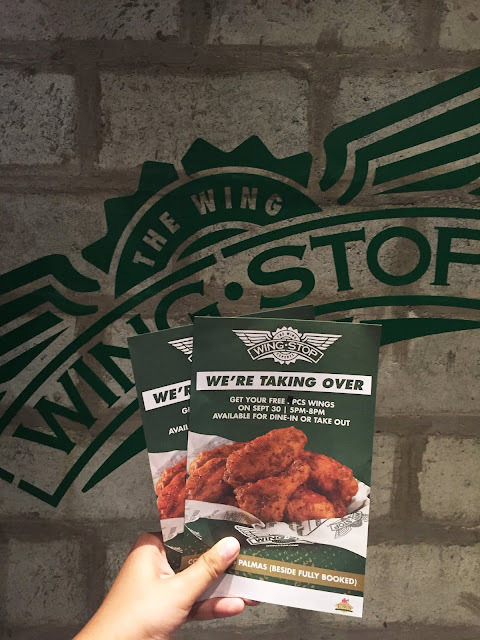 I was handed with a flyer which I will have to present to the counter upon claiming of my free wings. 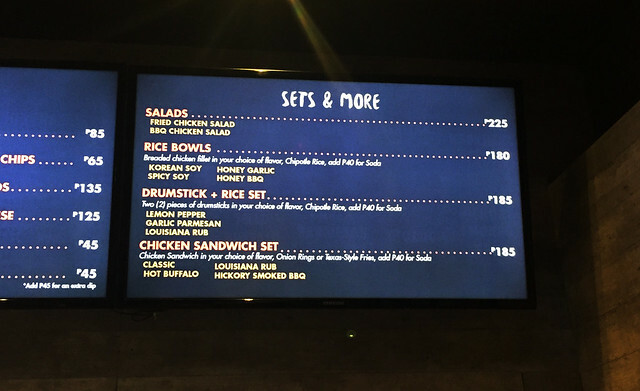 The first thing that I thought was to ask the staff what is their best seller for the wings. She was in all smile and said that it's the Hickory Smoked BBQ and Louisana Rub that first-timers should try out. Welp! I believed her and chose the Louisana Rub for the subtle spice that I've always wanted for my chicken. Upon talking to the staff, I've found out that this is the first branch where they offered set meals and a whole lot new snacks that the southerners could try on! Serving time took around 5-8 minutes even though there's a lot of people waiting to be served. 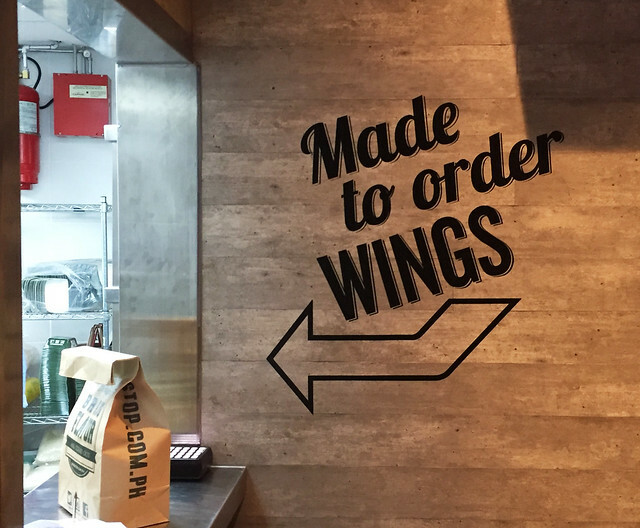 I commend the staff of Wingstop for being efficient and in big smiles even though there's a sea of people wanting their wings to be served, stat. After a week or so, I told Jonas (the boyfriend) if we can snack on some goodness since I would like to try more flavors because simply, Louisana Rub left a good impression on me. So we got the Boneless Bites in Garlic Parmesan and Hickory Smoked BBQ. 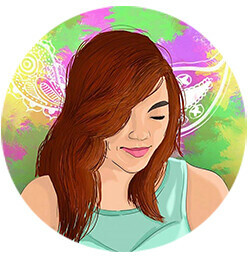 (I unfortunately deleted the photo on my phone so bear with me. :c) It says bites but we were both stunned when the Boneless bites where actually almost a thumb tall and it could be finished with 3 bites or so. Plus the saltiness comes from the chicken itself and not just the sauce and other seasonings. Ain't this the best things for chickens served in your plate? 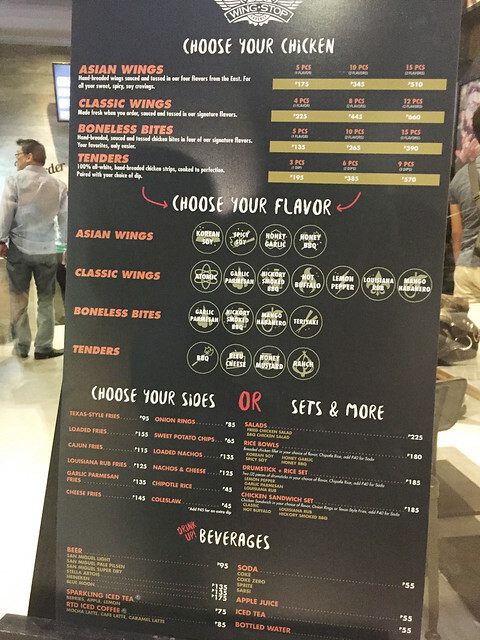 This would definitely not be the last time I'll try on more of Wingstop's chicken offerings. More wings to come for me absolutely. Hahaha. 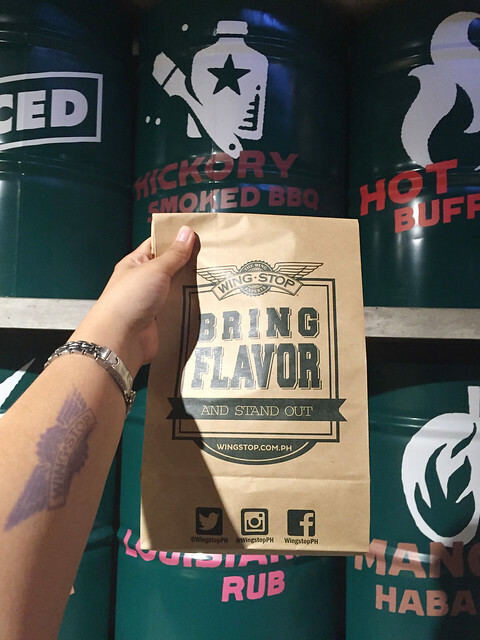 You can also give Wingstop a visit at Corte de las Palmas beside Fully Booked in Alabang Town Center!